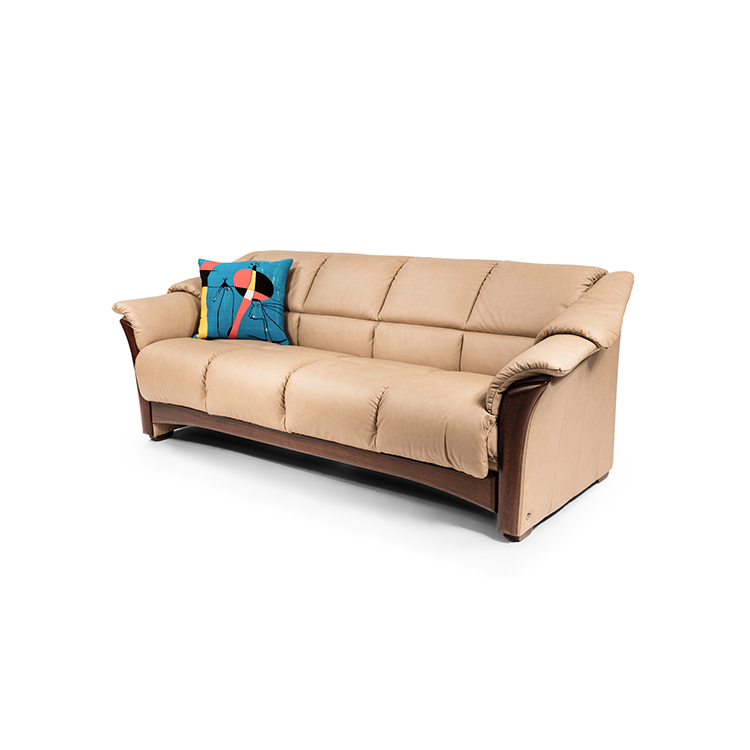 The Oslo sofa by Ekornes of Norway brings cosmopolitan, elegant Scandinavian style to your living space. 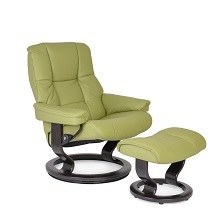 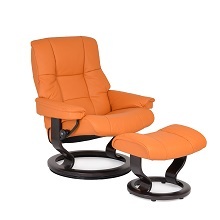 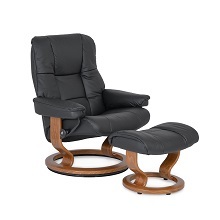 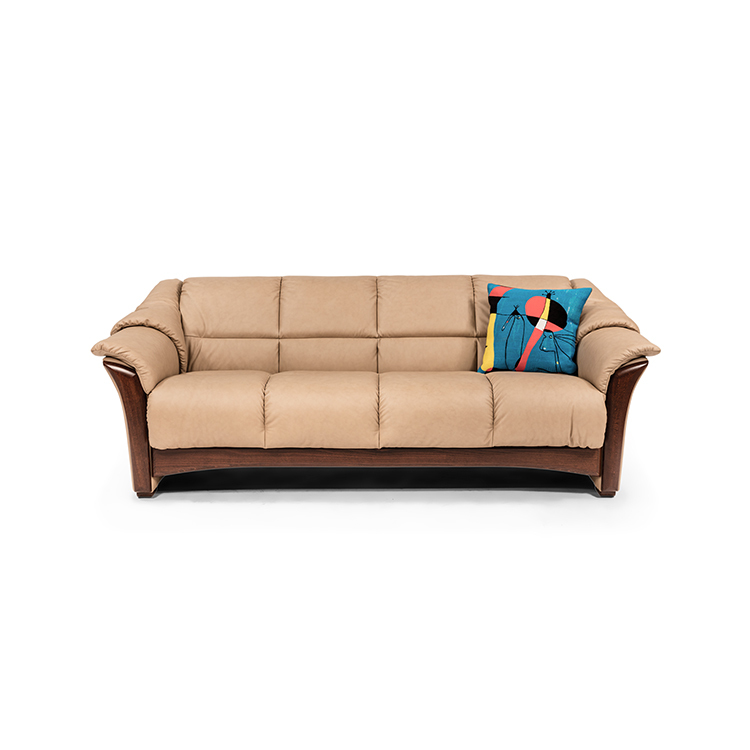 Oslo has gentle curves and contours, plush cushions, and spacious seating. 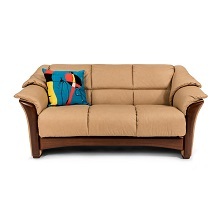 The sofa has a curved wood frame with sand Paloma upholstery.